Photovoltaic modules are permanently exposed to extreme conditions, such as heat, cold, moisture, UV radiation and wind. To protect the module components against ageing and functional impairment, excellent sealing is therefore necessary. 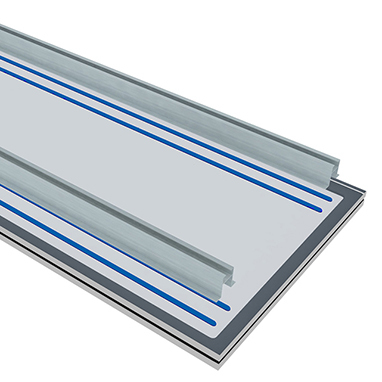 The focus is thus on edge sealants that are impermeable to moisture vapour and which are intended for use in high-performance thin-film and crystalline modules with moisture-sensitive coatings. this context between “inner sealing” (between the glass) and “outer sealing” sealing the frame). Sealing against moisture vapour intrusion and long-term adhesion are the two biggest challenges when attaching junction boxes. KÖMMERLING products are specially designed to meet these challenges. For frameless mounting of crystalline modules, the mounting brackets are bonded to the back of the module with RTV 2-component silicone. 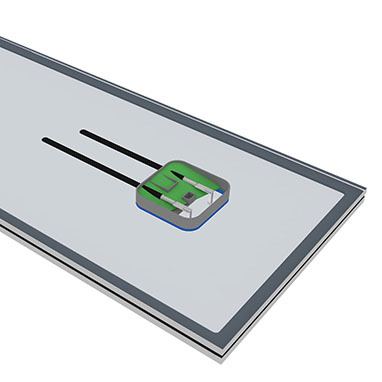 One advantage of this mounting system is that the forces exerted on the module are distributed equally across the surface and stress peaks are avoided. In addition, the adhesive creates a balance between the different thermal expansion coefficients of the glass and the mounting profile, which helps ensure long-term reliability. 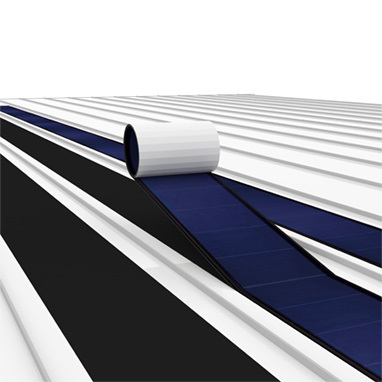 Compared to rigid photovoltaic modules, flexible modules are thin and very light. Bonding also allows them to be attached to curved surfaces. 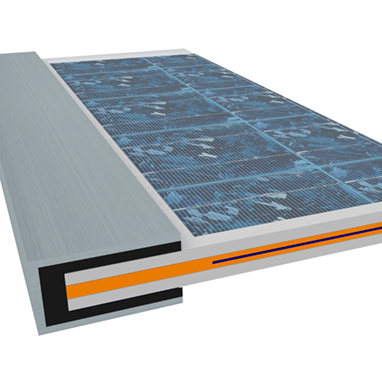 This makes them ideally suited for installation on low slope roofs or where wind, snow or seismic loads make the installation of rigid racked modules impractical. They are also well suited to marine, recreational vehicle and freight carrier applications.